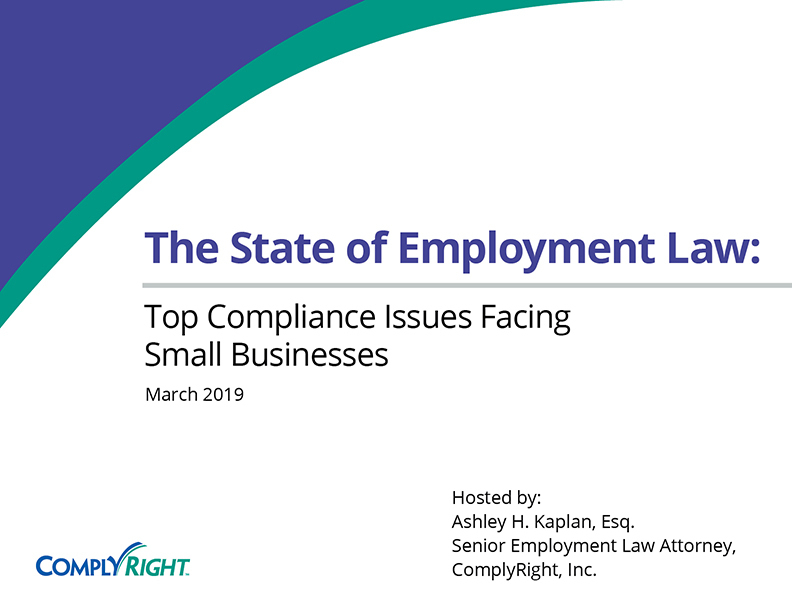 For HR managers and small business owners who are compliance sensitive and want to stay current on employment laws, being informed on the various emerging state leave laws is critical. When it comes to job-protected employee leave, we usually refer to the Family and Medical Leave Act (FMLA). This federal law permits eligible employees to take unpaid leave for a variety of reasons, including a serious health condition (their own or a family member’s), the birth or adoption of a child, and military caregiver service. 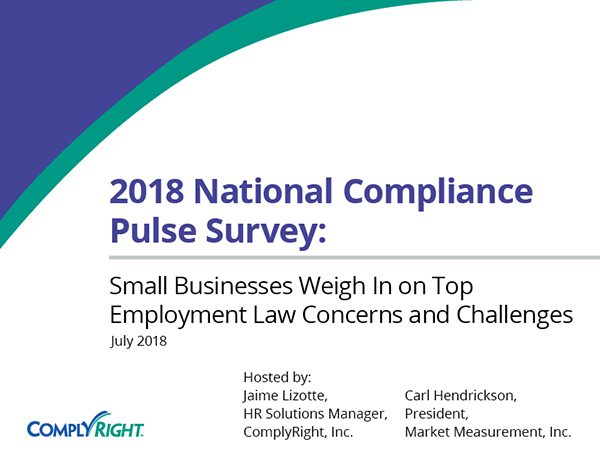 On the state and local level, however, governments have recently passed their own laws giving employees greater leave rights than federal laws. 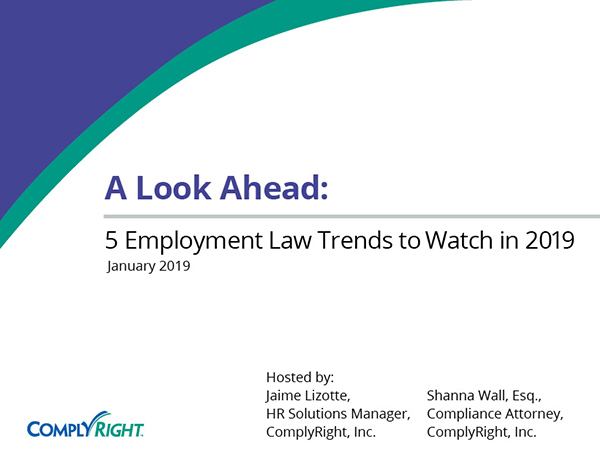 These laws address issues not covered at the federal level and vary widely by location, so it’s imperative you’re aware of, and permit, these legally protected leaves of absence. Safe Leave (or Leave for Safe Time) refers to paid leave that can be used to address instances of domestic violence, sexual assault or stalking committed against employees or their family members. The leave can be used to obtain medical records or manage mental health needs; receive services from a victim services organization; obtain legal services or attend legal proceedings; and temporarily relocate as a result of being victimized by one or more of these crimes. 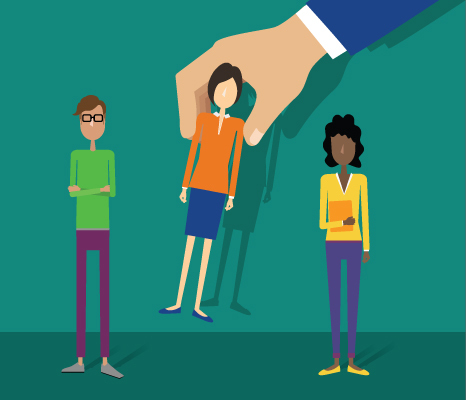 Details of Safe Leave laws vary depend on which state(s) your company conducts business. Pregnancy Leave. Federal law forbids discrimination based on pregnancy with any aspect of employment, including hiring, firing, pay, job assignments, promotions, layoff, training and fringe benefits, such as leave and health insurance. However, state laws often provide more protections than federal law, and some states have specific laws that apply to situations a woman may experience during pregnancy, such as being temporarily unable to perform her job due to a medical condition related to that pregnancy. An employer may have to provide a reasonable accommodation for a disability related to pregnancy. A small number of states, for example, have passed laws allowing certain employees to take paid pregnancy leave. Parental Leave is an employee benefit in certain states that provides approved time off for the birth, adoption or care of a child or dependent. Parental leave is for both parents, whether they’re biological or adoptive. This time is dedicated to settling the new child into the family. Both parents can take a parental leave, after their maternity and paternity leave, at the same time or at different times, even if they have the same employer. In California, for couples made up of two women, the partner of the biological mother has a right to paternity and parental leave. However, the child must have been born in the context of what the law calls a parental project and the name of the partner must appear on the act of birth. Depending on your state, employee leave laws may differ from the FMLA in that they apply to smaller employers (less than 50), have less stringent requirements for employee eligibility, expand the definition of a serious health condition, apply to individuals other than immediate family members, require paid leave instead of unpaid leave, and provide leave for additional reasons. Staying on top of both federal and state protected employee absences is the best way to stay compliant — and is just one aspect of managing employee time-off. The Time Off Request Smart App from HRdirect provides your employees self-service access to submit time off requests electronically. You’ll receive a notification when a request is submitted, at which point you can approve or deny the request. 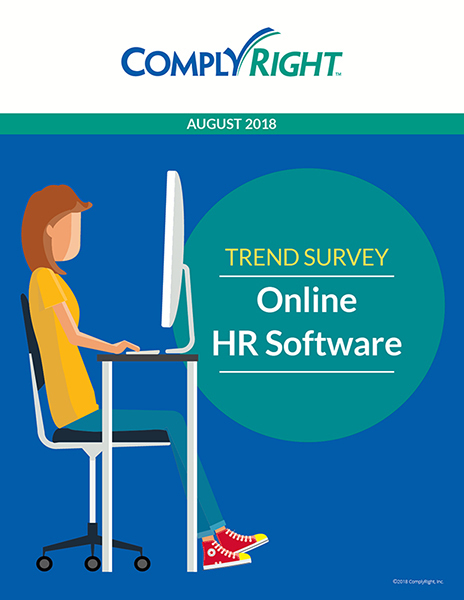 By using this convenient, web-based app, you can avoid confusion and clutter; enable employees to track their own requests; and enforce fair and consistent time-off policies.